Near the end of last year OpenStack.org asked us to provide practical tips about taking the Certified OpenStack Administrator exam, for their article collecting the tips of various training centers. In this post we attempt to expand on our advice shown in the OpenStack.org article. They are quite well documented. Familiarizing yourself with the requirements helps you prepare more efficiently for the exam. as not only Linux commands but also the Horizon GUI and you web cam and the background monitoring of your machine use valuable bandwidth as well. 3. You need an empty room for the exam with you as the only person in it. The proctor will check it before you start the exam. 4. Allow yourself enough time for hands-on exercises with all the OpenStack topics in the OpenStack COA Requirements. Participants of our OST-104: Openstack Admin. and COA exam prep. training can do these exercises not only during the course but will also receive one week extra remote lab access after the training by request. 5. You should know both the OpenStack commands and the Horizon admin tool to achieve good results. Knowing the command line is practically a must. 6. Be prepared that you can only use the US English keyboard layout during the exam! As Component Soft has course participants from all over the world, we have heard from some of our participants that using the US keyboard layout was jarring and unusual which slowed them down. If you use another layout, make sure you practice using the US one before the course. 7. The Linux screen command is very useful to split your single command terminal during the exam. This way you can improve your productivity, especially in more complicated exercises. 8. You can only set Swift advanced ACL settings in the command line, not in Horizon. 9. Be careful to use the proper user, project and domain names given in each exercise! As referenced above, we offer a comprehensive course aimed at equipping you with the knowledge necessary for an OpenStack administrator as well as preparing you for the COA exam, complete with Lab exercises and more, in-depth advice. 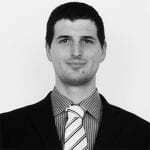 Csaba Patyi is an IT Consultant and Instructor at Componentsoft Ltd. In this position he provides Level 3 support to one of the major Hungarian Telco companies. He regularly holds courses about OpenStack Administration, Linux Administration, Docker essentials and many more in Hungary and in other countries as well.